Being a good writer necessitates having a good eye and a good ear. The good eye is the attention to details that will help you paint a word-picture of what you have seen with your physical eyes and processed in your mind’s eye. It’s not necessarily about writing long-winded passages of backgrounds or going into minute detail of a character’s physical attributes (I’ve done plenty of that), but rather in choosing the most precise and meaningful words to describe the environment or the person. The good ear is the attention to how people communication and how they speak, not always the same thing. Again, it involves finding the right words and inflections (at least implied inflections) that give the reader and actor clues as to who this person is. And perhaps just as importantly, it is about finding just the right cadence for your character’s speech patterns. If you listen really closely to a conversation, you’ll realize that there is little difference between speaking and singing. There is a rhythm, a cadence to speaking. Conversation is an improvised duet sung a capella. But unlike a traditional song which may have a subset of arrangements, each of us sings to our own tune, with our own rhythms and inflections. It is one of the many things that sets us apart from each other. When writing characters, it is important to keep this in mind as all too often, a group of characters can have a certain monotone, which I use not to imply flatness so much as sameness. Often, I believe, it occurs when the writer neglects to add variety to his characters’ speech patterns and instead writes them with one voice; his or hers. The best writers don’t make this mistake…or at least minimize its occurrences. Each character he or she presents us is truly unique, jumps off the page or screen, provides his or her own internal musical accompaniment. One of my favourite writers of the last decade or so is Aaron Sorkin whose overall writing has its cadence but whose characters also tango (or more often tarantella) across the screen. Read the pilot to The West Wing or the screenplay for The Social Network and you will know you’re reading Sorkin. 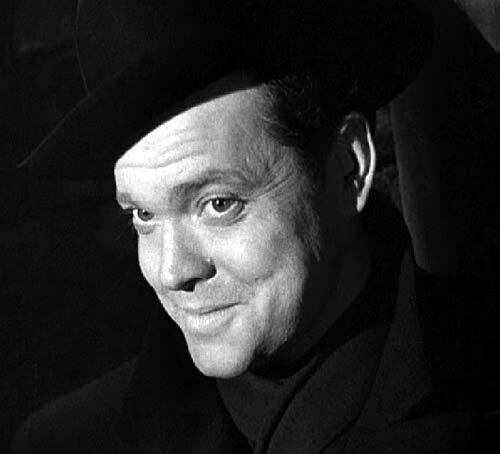 But for me, perhaps a better example is Orson Welles, the man who would be Kane. 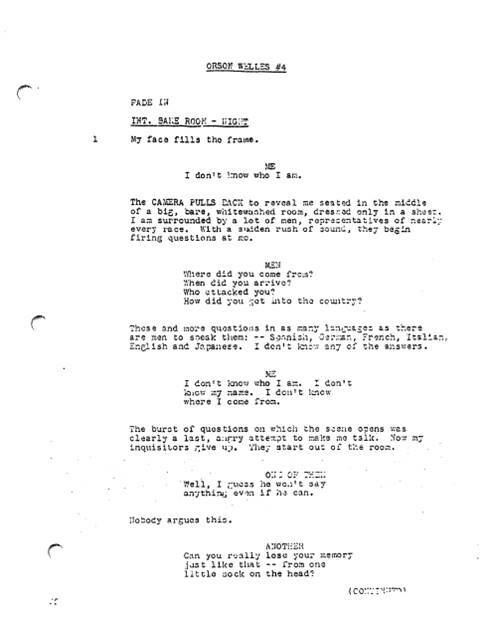 Recently, someone discovered a long-lost unproduced screenplay by Welles called The Way to Santiago, written in 1940-41. Another blogger discussed the find recently, and provided a link to the actual screenplay (see link below). You only have to read a couple of pages to remind yourself (or educate yourself on) how Orson Welles wrote and the energies he imbued in his characters, each one a snowflake of facets and reflections. Now, listen to the films or read the screenplays of The Third Man, The Magnificent Ambersons, Touch of Evil. Although you may question the choice of actors, you can clearly hear or see the distinctions in the characters. Bathe in the richness and depth of each one as he or she is captured for this brief moment. This is the stuff of which dreams are made. 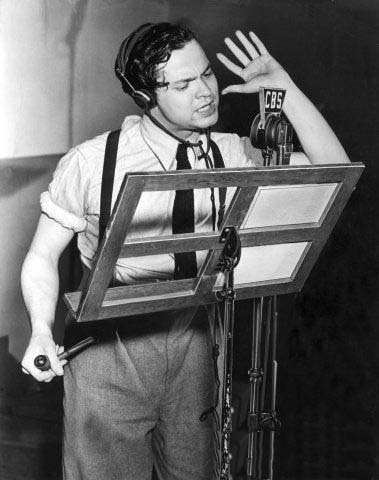 It is also interesting to consider that Welles got his start on stage and in radio, where the human voice plays such a larger role in conveying a story than it does in film. There is much less to occupy the mind onstage or in radio and so dialogue carries a significant burden of not only informing but also entrancing the listener. Although the stories I write are distinctly different from the Wellesian oeuvre, there is much I can and do learn from this master of the written word. He is worth the read and the listen. This entry was posted in Reviews, Writing thoughts and tagged Aaron Sorkin, acting, cadence, character, Citizen Kane, creativity, dialogue, directing, film, insight, music, Orson Welles, radio, screenwriting, singing, Social Network, stage, The Magnificent Ambersons, The Third Man, theater, theatre, Touch of Evil, uniqueness, West Wing, writing. Bookmark the permalink.